Clara Solberg is a happy, but tired stay-at-home mom. She's just given birth to her second child and the only thing she truly longs for is a good night sleep. Awaking to find that her husband dead, his business in shambles, his life insurance canceled, her daughter traumatized, and her parents dealing with their own set of problems just might be more than she can handle all at once. These are just a few of the things going on in Every Last Lie by Mary Kubica. Clara and Nick Solberg are a happy and loving couple. Clara has gladly given up her career in photography to be a stay-at-home mother to their four-year-old daughter Maisie. After Nick's sudden traumatic death, Clara has to deal with a traumatized Maisie, a newborn infant, a house in constant need of repair, a dwindling amount of income, the possibility that her husband's car crash might not have been an accident based on her daughter's night terrors, and her mother's ever-increasing problems associated with early-onset dementia. Clara is somewhat single-minded in what she is and isn't willing to deal with, but she's sure that Nick must have been murdered based on her daughter's terrors and statements and begins to investigate. Her investigation reveals more than she may have ever wanted to know in some regards, but is she getting closer to the truth or simply uncovering more secrets and lies? Was Nick murdered or was it just a tragic accident? 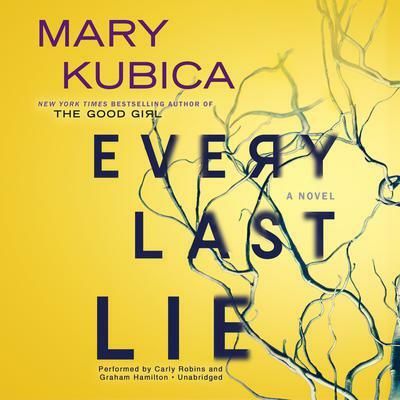 I'm a huge fan of mystery thrillers, suspense thrillers, and psychological thrillers and Ms. Kubica crafts some of the best thrillers I've read and she's done it yet again with Every Last Lie. I enjoyed this fast-paced story, found it to be part mystery thriller and part psychological thriller, and a wholly entertaining read. I also enjoyed the way Ms. Kubica told this story in alternating viewpoints, so the reader gets to know both Clara and Nick (and let me say there were times I wanted to bop them both upside the head and say "get a grip!"). Are there bad guys in Every Last Lie? Well, yes and no (you'll need to read the story to discover the truth of this for yourself). There's a lot of action going on in Every Last Lie and if I told you everything that happened you wouldn't need to read the book, but I'll tell you there are hints of marital infidelity, gambling, theft, workplace incompetence/negligence, bullying, marital abuse, and much more. 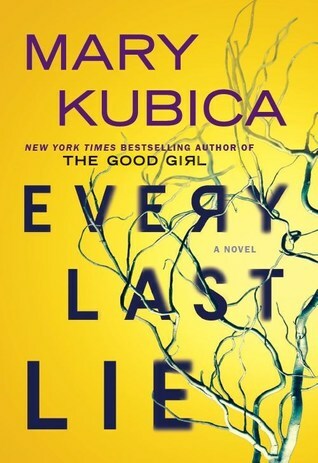 I've said it before and I'll say it again, if you're not sure about this genre then I suggest you add all of Ms. Kubica's titles (The Good Girl, Pretty Baby, Don't You Cry, and Every Last Lie) to your TBR list, because after reading just one of her books you're sure to be a fan. 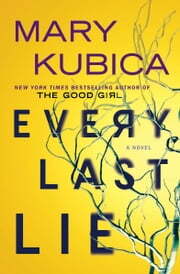 If you've read any of Ms. Kubica's previous titles, then you'll definitely want to grab a copy of Every Last Lie to read. Read an excerpt from Every Last Lie here.